Compasses are not necessary for orienteering in a school, but it is important that students learn how to use them before going into a bush environment. 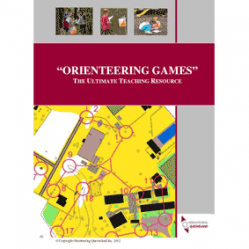 "Orienteering Games" is the ultimate resource for teachers and coaches. It has a fantastic variety of activities to develop navigational and orienteering skills for students from prep to senior secondary levels. Activities focus on fun games to challenge and engage students with the flexibility of individual and team options. Activities are laid out in an easy to read lesson format with diagrams to minimize your planning time. The game index makes choosing an appropriate development age and skill level activity simple. With the inclusion of over 20 orienteering worksheet activities catering for different levels, your wet days & theory lessons are already prepared. "Orienteering Games" provides you with a whole new range of fun activity options to include and challenge different ability levels within the one game. Available in hardcopy & downloadable version: click here to purchase. This is a free download, available here. It is full of activities for Prep to Yr 12, set out according to age group, situation (indoors or out) and group size (individual, pairs or groups). The units consist of sequential activities which teach orienteering skills (eg. orientating the map, compass points, map symbols, control punching, distance estimation, international control descriptions and contours) and orienteering courses (cross country, star relay, loop, scatter, and route choice) which can be set on your school map. A range of coaching and instructional references relating to specific Orienteering skills can be found here. J. Woods. $42.00 Hardcopy, $22.00 pdf. As above. D. Gale. Click here to download for free.